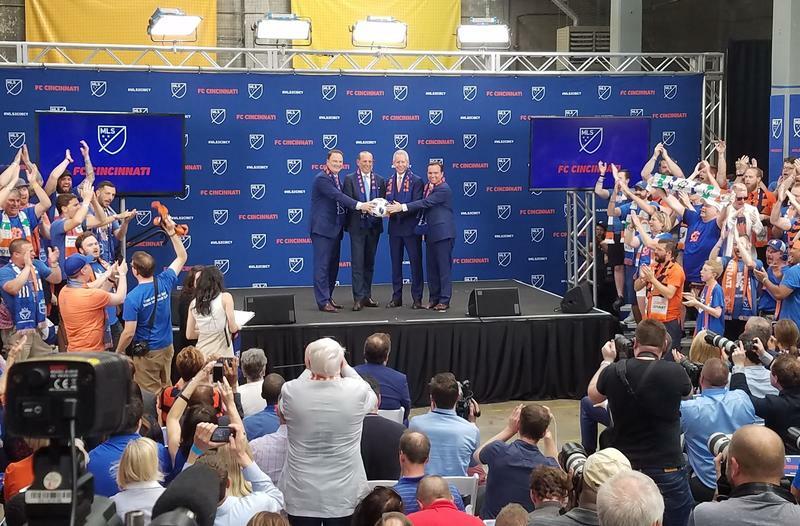 From left: Mayor John Cranley, Jeff Berding, Don Garber, and Carl Lindner III at Tuesday's event to announce FC Cincinnati would join the top league in 2019. One more question: Did you ever believe that FC Cincinnati's general manager, Jeff Berding, a master political strategist if there ever was one, and the principal owner, Carl Lindner III, would not get exactly what they wanted out of this long and torturous process that ended late Tuesday? 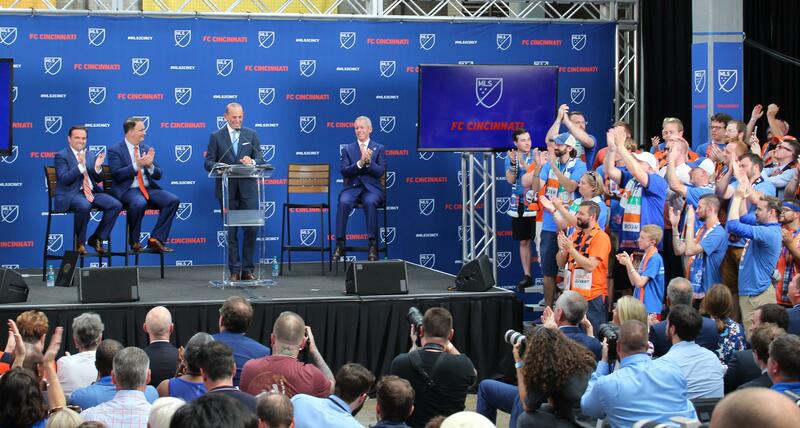 Both men got their wish with MLS awarding a franchise to FC Cincinnati to play, eventually, in a brand-new 21,000-capacity soccer-only stadium in Cincinnati's West End. If you answered "yes" to any of those questions, you had better go back to school and Political Theory 101 for audit. This was pre-ordained from Day One. And, according to David Niven, assistant professor of political science at the University of Cincinnati, it was a masterful piece of political manuevering by Berding. "This was the triumph of herding cats,'' Niven said. "(Berding) has to deal with the community council, the school board, the county and Cincinnati City Council. "There were so many veto points and Berding was able to get past all of them,'' Niven said. Oakley was simply sleight-of-hand on the part of FC Cincinnati; Newport, a distraction aimed at kick-starting the often-slow moving machinery at Cincinnati City Hall. One question that Cincinnatians, whether they are over the moon about FC Cincinnati joining the MLS or not, might want to consider is the role that last fall's Cincinnati City Council election might have played in FC Cincinnati's success in landing the West End site. 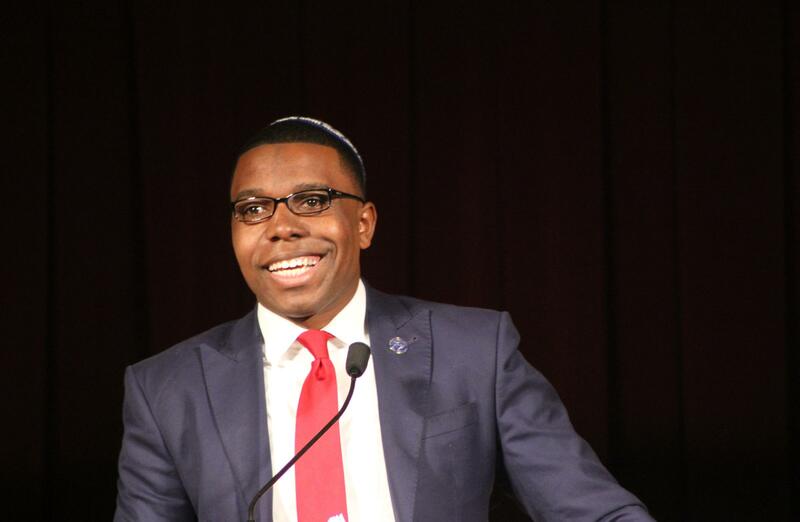 Jeff Pastor was a complete unknown – a teacher in a charter school – when he was endorsed by the Republican Party as one of its three city council candidates. Cincinnati City Council Member Jeff Pastor. No one – not even his own party – gave him much of a chance. But suddenly, during the campaign he began listing his job as executive director of former Duro Bag owner Charlie Shor's epilepsy foundation. Shor is a very wealthy man. That became apparent when Pastor began showing up at African-American churches, passing out five-figure checks to the ministers, usually in front of the congregation. This is not normal behavior during a city council campaign. We've been around city council campaigns since 1983 and have never seen anything remotely like it. And, in the end, Pastor won the ninth and final seat on city council, squeezing out Democrat Michelle Dillingham by a scant 223 votes. If so, it made a huge difference in FC Cincinnati's plan to turn what is now Stargel Stadium at Taft IT High School into a brand-new soccer stadium. FC Cincinnati needed city council to approve spending $35 million in infrastructure improvements in and around the West End sites. In the end, it passed 5-4, with Pastor voting in favor. Dillingham has made it clear she would have voted against it. Berding, a former Cincinnati council member, still had to nail down a "community benefits agreement" with stakeholders in the West End – an agreement that city council would be willing to sign off on. Council signed off on the agreement in a 7-0 vote. This came after FC Cincinnati, The Port of Greater Cincinnati, six members of the West End Community Council and their lawyer met for nine hours to work on the agreement behind closed doors. Council members were sitting around twiddling their thumbs while this was going on. The Port will commission a housing study in the West End, with FC Cincinnati paying up to $100,000 in costs. FC Cincinnati will create and support a West End Youth Soccer program with an annual commitment of $100,000. FC Cincinnati will support The Port's efforts to stabilize and revitalize the Regal Theater on Linn Street. FC Cincinnati will ask the general contractor to hold two job fairs in the West End – one for stadium construction jobs and another following construction. 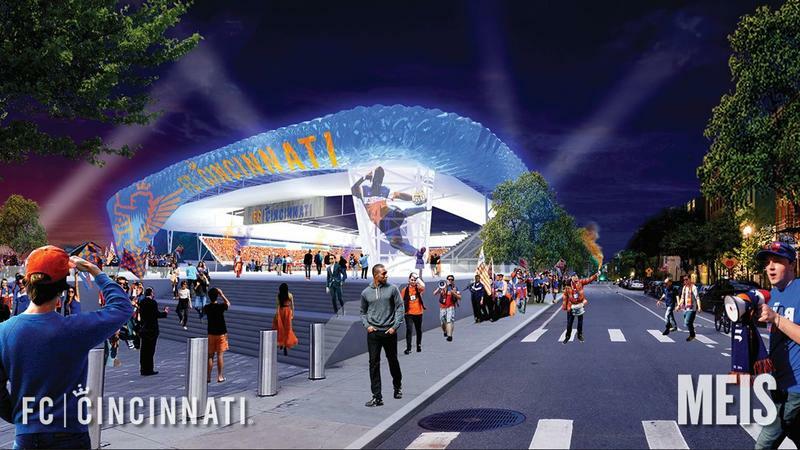 The community will have input on the design elements of the soccer stadium and the new Stargel Stadium that will be built nearby for Cincinnati Public Schools. There will be a 17 member community coalition that will assist implementing the community benefits agreement. That last bit could be very important – one of the criticisms of the community benefits agreement is that it may be unenforceable. The agreement that was hammered out was politics in itsmost basic form -- two sides sitting across from each other at a table and staying there until a deal was done. Congress and the White House might be able to learn something from this.